Kids love pretending like they're adults. 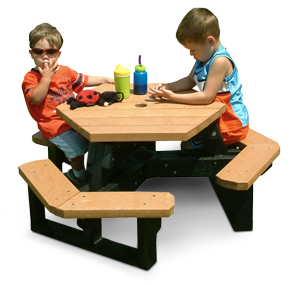 Encourage their playful imaginations with this unique hexagonal picnic table that looks just like the grown up table, but designed specifically for children. 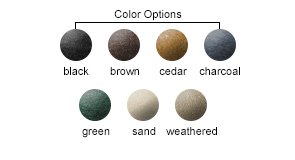 The table features a generous 25-1/4" diameter top and its smooth surface makes clean-up a snap. Three angled benches contour to the table making it comfortable for children to interact with each other.